First introduced in stainless steel and then gold last year, the Signature 1 is Greubel Forsey‘s most accessibly priced wristwatch, showing only the time, with no other complications. Now the Signature 1 gets a bit more luxe, with the third and final version in platinum making its debut at SIHH 2017. 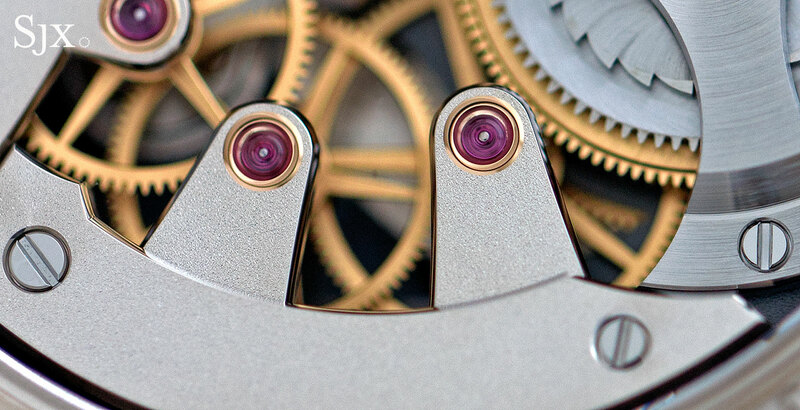 Mechanically identical to the earlier versions of the watch, the platinum Signature 1 is hand-wound, with an oversized balance visible at eight o’clock on the dial, held aloft by a long steel bridge. What sets the platinum version apart is the colour of the dial, which is a dark grey with white markings. 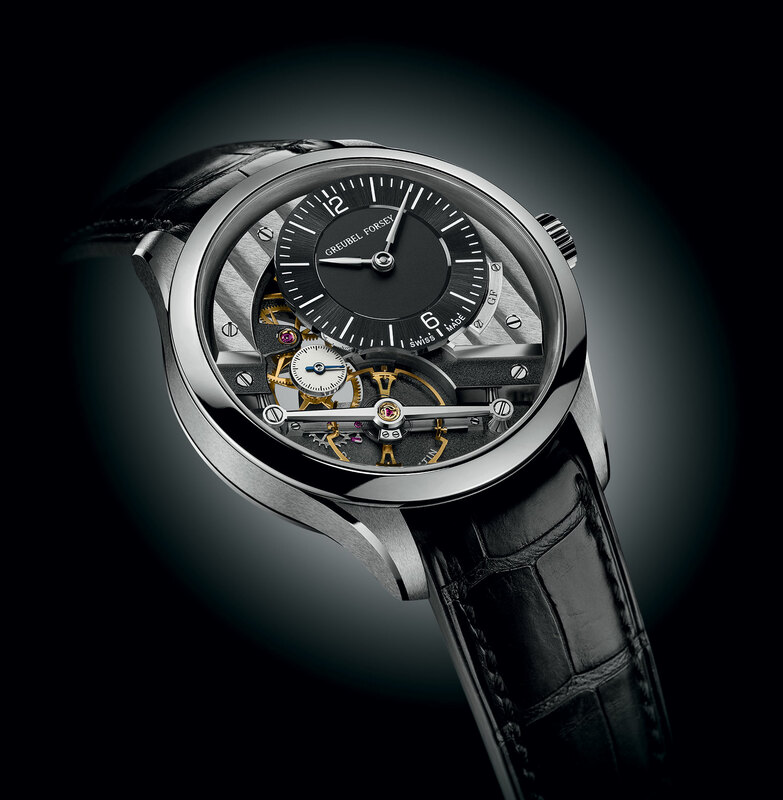 Despite being a simple timepiece, the Signature 1 is executed elaborately and expensively. 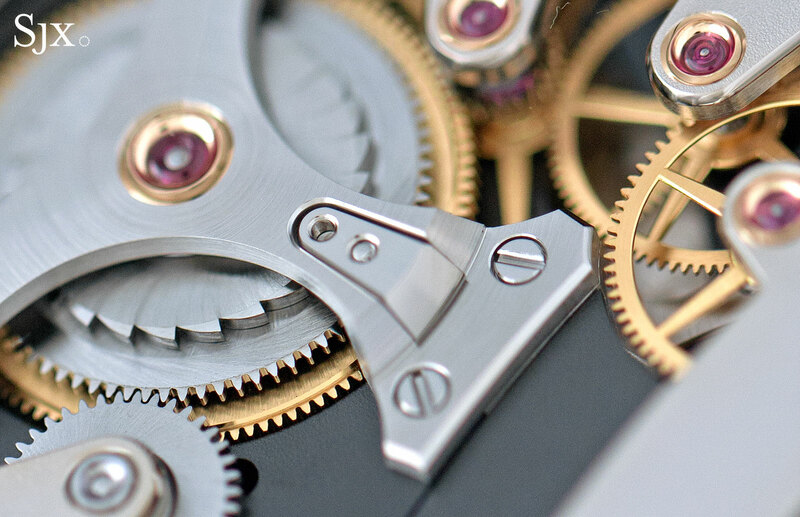 The hour and minute hands, for instance, are polished steel with hand-finished countersinks in the centre. 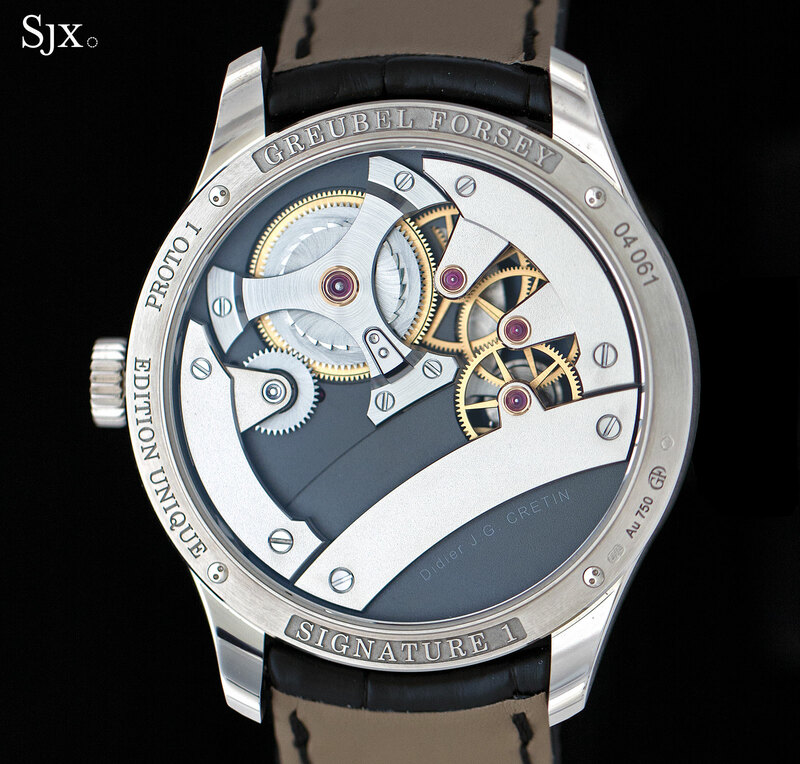 On the back (the identical movement inside the stainless steel version is shown below), the movement is similarly treated with lavish attention to detail. 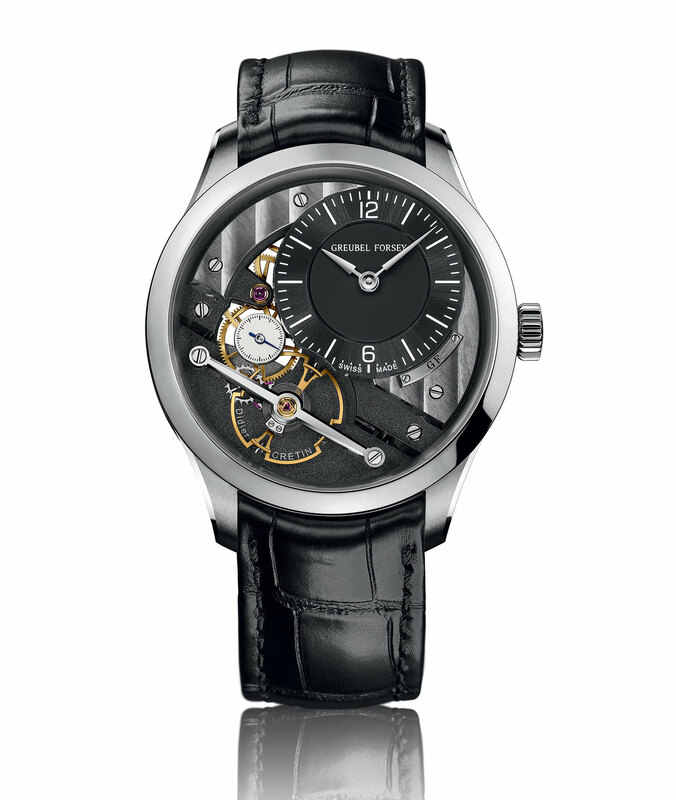 Smaller than the average Greubel Forsey but still sizeable, the platinum case is 41.4mm in diameter and 11.7mm high. The Signature 1 in platinum is a limited edition of 11 pieces, priced at SFr190,000. 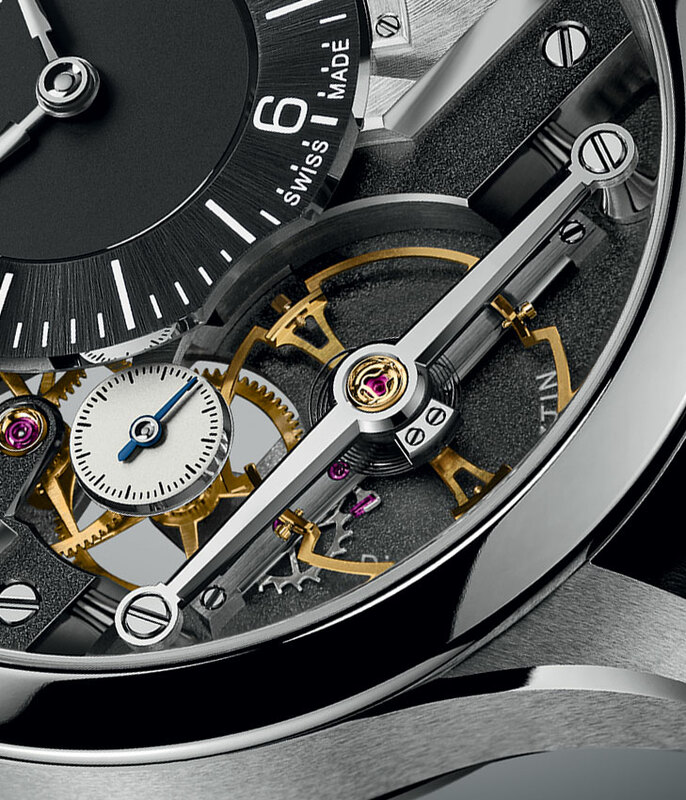 The most complicated Greubel Forsey to date puts the watchmaker in rarefied company.